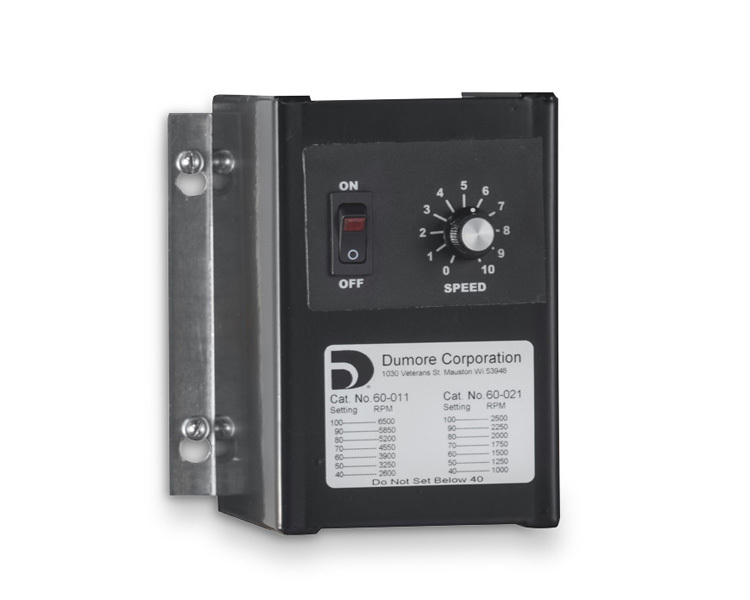 Dumore Series 60 automatic feed drills (both low and high speed versions) are slim and compact, designed to cut operating costs while providing a wide range of capabilities. The small size of these automatic feed drills (4.3" x 27") makes them ideal for compact set-ups and close-center drilling. 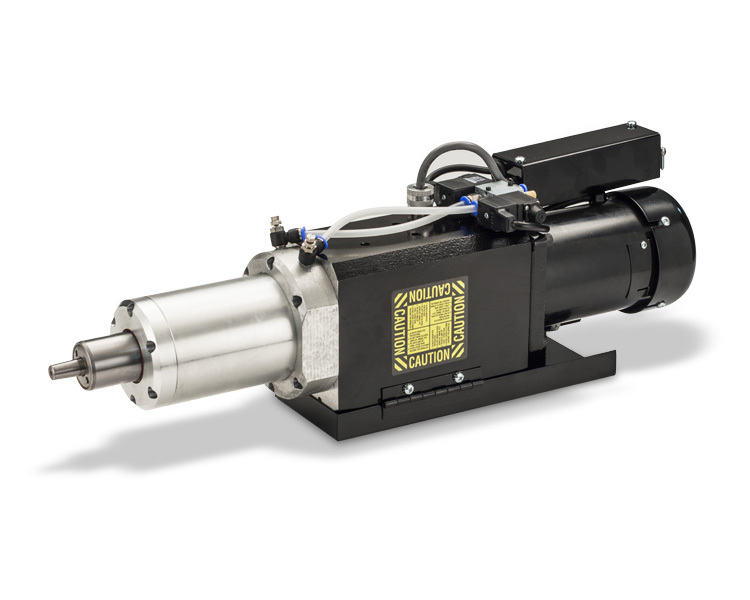 Series 60 automatic feed drills, or self feed drills, are powered by a Dumore Motors permanent-magnet DC motor with an infinitely variable speed control for increased drill flexibility. There are no pulleys or gears to change and the drill unit is nose-mounted so it can be removed and remounted in the precise former location quickly and easily. While compact, Series 60 automatic feed drills deliver maximum drilling capacity with a full 300 lbs thrust at 100 psi air pressure and full 3 inch stroke.